We’d love your help. 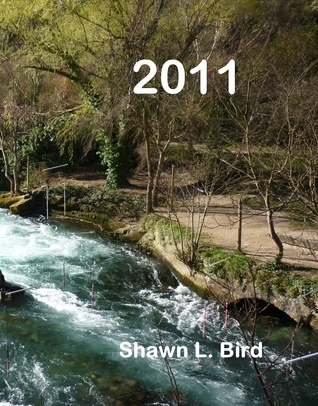 Let us know what’s wrong with this preview of 2011 by Shawn L. Bird. To ask other readers questions about 2011, please sign up. Shawn is an author and high school teacher living in the beautiful Shuswap Lake region of British Columbia, Canada with her brilliant, musical husband. She is a former exchange student and a proud member of Rotary, and so she is out to change the world in many ways. Shawn osaa puhua Suomen kieli. Shawn peut parler français. Come explore with her through blog, Twitter, Pinterest, or Facebook. She is Shawn is an author and high school teacher living in the beautiful Shuswap Lake region of British Columbia, Canada with her brilliant, musical husband. She is a former exchange student and a proud member of Rotary, and so she is out to change the world in many ways. Shawn osaa puhua Suomen kieli. Shawn peut parler français. Come explore with her through blog, Twitter, Pinterest, or Facebook. She is busily working on the third of the Grace Awakening series, while researching for the next series, writing short stories, and novels in a different genres. Of course, during the school year there are students, reading, and marking. There are still dreams and there is still poetry.